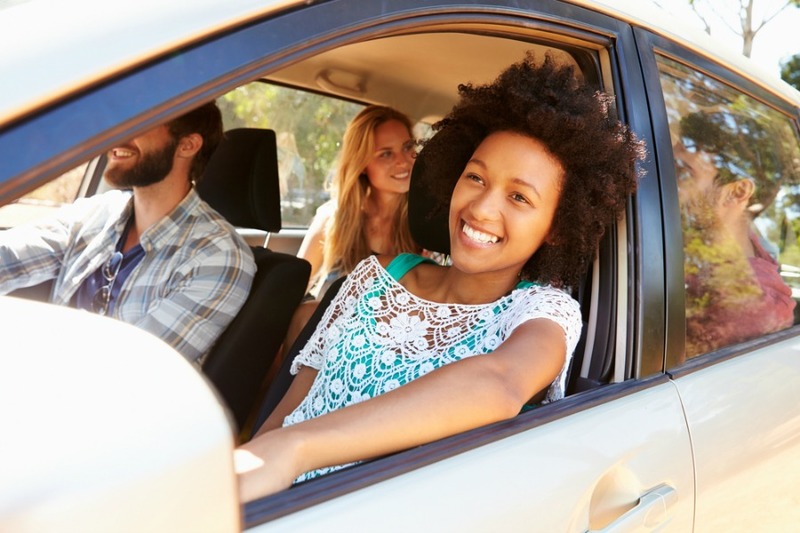 Last summer we wrote a post about all the benefits of carpooling and ridesharing, and it’s become one of the most popular posts on our site. This is our updated and expanded list for 2016! Let the carsharing begin! But first, why an update to an already-successful post? First, the newest company on the list hasn’t launched yet, but it’s the one I’m most excited about. And secondly, many of the companies listed on our 2015 list have disappeared or changed names, so we wanted to make sure you have the most up-to-date list on hand for all your carshare and carpool research. Is your favorite app or carpool solution missing from our list? Drop a comment and let us know! But first, let’s review why you might want to look into carsharing, carpooling, and ride share options. Aside from decreasing your emissions and fuel costs, carpooling offers other bonuses like decreased need for vehicle maintenance. And if you are not the one driving, you can make new friends, finish up a few minutes of work, or make up for last night’s party with a little nap. Most big cities reward carpoolers with HOV lanes to accelerate the journey, special parking spaces, or discounted rates for parking. Our company President and sustainability expert Zachary Shahan has estimated that he saves about $10,000 each year by riding transit and forgoing the need for a vehicle. CommuteWise* is a free service that brings social networking to your carpooling! You already know there are lots of good reasons to carpool, and CommuteWise makes it easy by helping you find a group of likeminded travelers that match your commute route. Their easy app let’s you connect with other drivers and riders in real time using simple chat communication. CommuteWise lets users find groups on the map just by scrolling, and join those which match their commuting route; if there is no existing group, you can create your own! Private messages can also be used, and users are allowed to view other group members. Feedback is encouraged, or you can just ‘like’ your group member to let people know they are great. CommuteWise is currently available online in English only; native iOS and Android apps are in the works. 2. Chariot for Women: Perhaps the most exciting new addition to the list, Chariot for Her or SafeHer (they seem to be in the middle of a rebranding effort) offers women a safer space to ride. In response to the thousands of Uber and Lyft safety concerns, this new app will use only women drivers to offer a safe ride for women. As of the time of writing, they canceled their April 19 Boston launch in order to roll out in cities across the US. Why an app just for women? 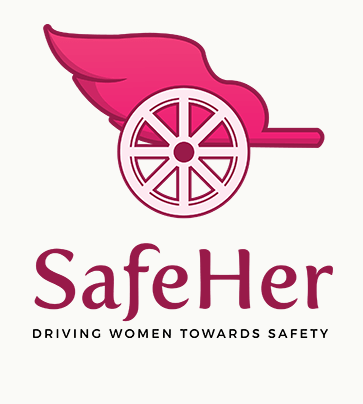 From their website: “SafeHer was born to ensure safety, comfort and pleasure as well as giving back to female focused charities and foundations through our transportation services. A certain percentage of the riders fare will be donated to selected rotating non-profits.” Sounds like a win-win. The app is not yet available, but you can follow them on Facebook for updates. Be sure to tell all your ladyfriends, mothers, sisters, and daughters about this soon-to-be-available option. 4. Uber: Despite big setbacks in their public image (incidences of harassments, rapes (see link in #1 above), and general CEO douchbaggery), Uber is still the leading name in the ridesharing space, Uber is allegedly a classier version that allows you to choose your vehicle type, including a black car to make you feel fancy as you cruise about town. They too offer a share for carpool options. Related: Are Lyft and Uber as Green as they Could Be? 5. ZipCar: Rent a car for an hour, a day, or a week. ZipCar is a fleet solution that allows you to live car-free but enjoy the benefits of vehicles when you need it. They also have fleet solutions. We recently wrote a longer article about ZipCar and their available options. Read it here. 6. Getaround: A competitor to ZipCar, Getaround allows users to rent their OWN cars or borrow someone else’s car for a day or a week. The app seems simple, and can help offset the costs of owning a car– the company claims that you could earn $10,000 year by renting your car on their app. make friends when you carpool! 7. Turo: Another app that allows you to rent your own car. Turo offers local pickup, delivery, or airport delivery of vehicles to make it super convenient for commuters and renters alike. 8. Carma: Since we wrote about them last year, Carma has partnered with City Car Share to offer a car for hire service in cities across the US, along with luxury commuter service. They still offer the original Carma Carpooling system that connects drivers with riders to make the most of your commute. 9. BlaBlaCar: Formally Carpooling.com, BlaBlaCar offers rideshare options all across Europe. 10. Moovel: Moovel is a new company, based on acquisitions of GlobeSherpa and RideScout, these guys have built a mobile solution that help people navigate their city with real-time information, aiming ‘to create the future of urban mobility.’ Apps include Moovel Transit, RideTap, and Moovel (available only in Germany). 11. Rideshare: Carpooling and fleet solutions for offices and campuses! This relatively old company (35 years!) offers a variety of ride sharing options for commuters: An easy fleet program, hassle free long term and short-term lease program for transport and shuttle vehicles. Easy commute, a comprehensive web-based incentive program to help an organizations’ commuters save money and energy. And easy green carpools: full service, energy efficient, organized carpools. 12. Zimride: Now backed by Enterprise, Zimride helps you connect drivers and passengers or groups with stuff in common. Zimride is only available to universities and corporations, but offers a great way to connect with those in your immediate area to share rides. 13. Craigslist: Find local rideshare postings to find rides offered and rides needed. A word of caution though: unlike most of these other apps which have a connected social platform and peer-to-peer rating so you can know who you’re riding with, Craigslist doesn’t offer anything of the sort, so be wise with your rides, friends.